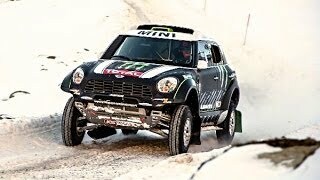 Mini has launched the Mini Countryman JCW ALL4 Dakar 2013 special edition to celebrate the car’s back-to-back successes in the gruelling motorsport event. 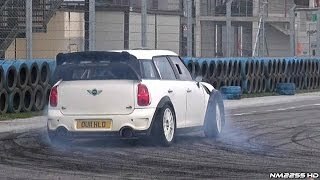 The All-wheel-drive performance machine boasts exclusive, partly hand-built design and equipment features inspired by Stéphane Peterhansel and Jean-Paul Cottret's victorious MINI ALL4 Racing machine. Only 11 examples of the car will be built, reflecting Peterhansel’s 11 Dakar wins and will be sold exclusively in Peterhansel’s home country of France. The new special edition is based on the MINI John Cooper Works Countryman, the brand’s first model to combine race-bred powertrain and chassis technology. 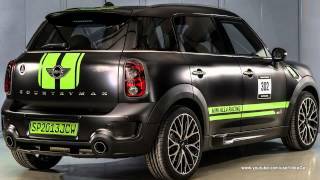 This matt black special edition comes with special bright green design features for the exterior and interior. These include Sport Stripes with Dakar Rally winner’s logo and the signature of victorious driver Peterhansel on the bonnet. The green stripes along the car’s flanks feature “MINI ALL4 Racing” lettering, while the driver and front passenger doors display the car number 302 and the names of the victorious pairing. 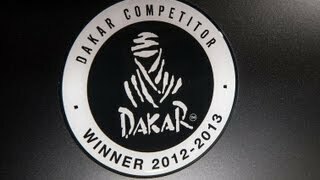 The Dakar winner’s logo can also be seen alongside the John Cooper Works badge at the rear of the car. Inside, the green contrast stitching for the gearshift lever gaiter and floor mats, and the green embroidered winner’s logo on the head restraints, are complemented by green stripes for the black interior trim strip on the centre console. Also a special-edition logo on the interior trim strip, a John Cooper Works sports steering wheel and Gravity Black leather sports seats also feed into the cockpit’s evocative sports car ambience. 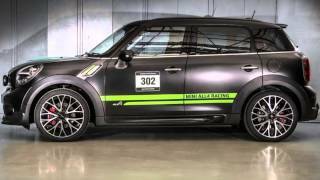 Auxiliary spotlights, bespoke side indicator surrounds and 19-inch light-alloy wheels in Cross-Spoke Crusher design add the finishing touches to the exclusive armoury of the MINI John Cooper Works Countryman ALL4 Dakar Winner 2013.